But watch out – some have signed the agile for evil manifesto and might not be a good fit for where you and your team want to end up. 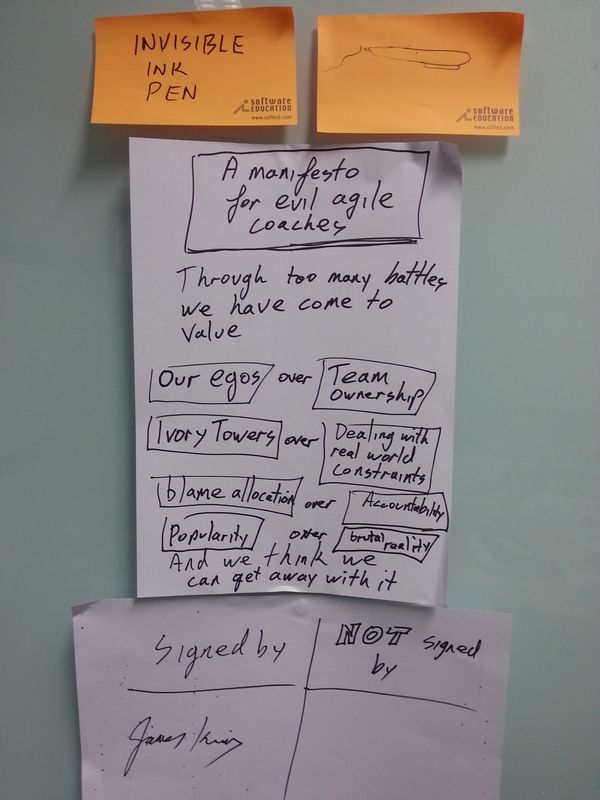 Evil agile coaches – I knew that!!! NextWhere would an agile coach start if they wanted to help my organization become agile?